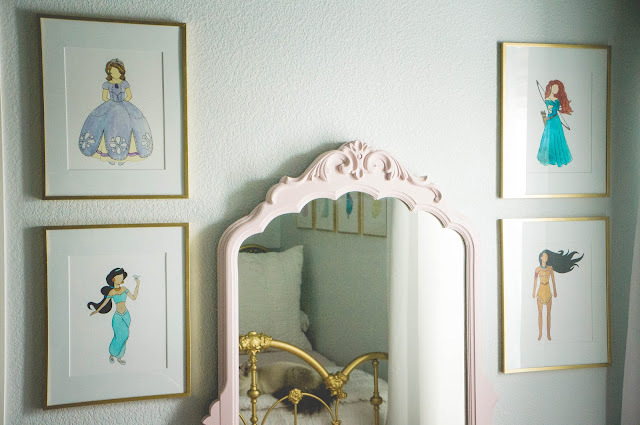 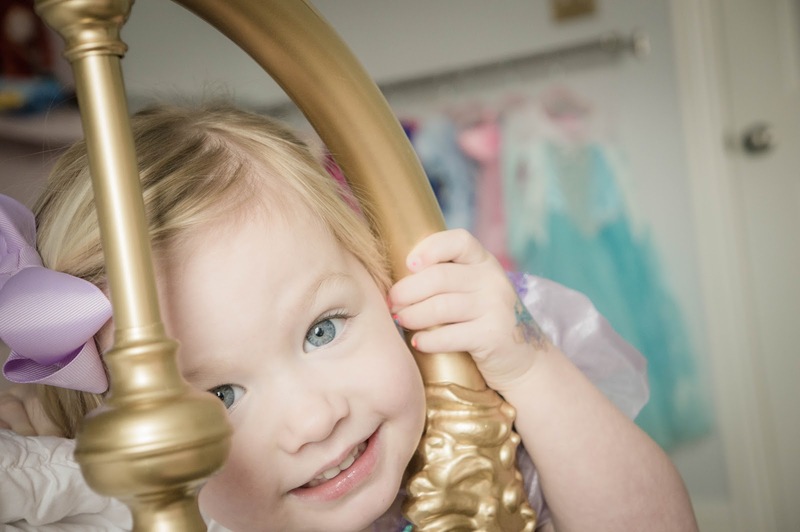 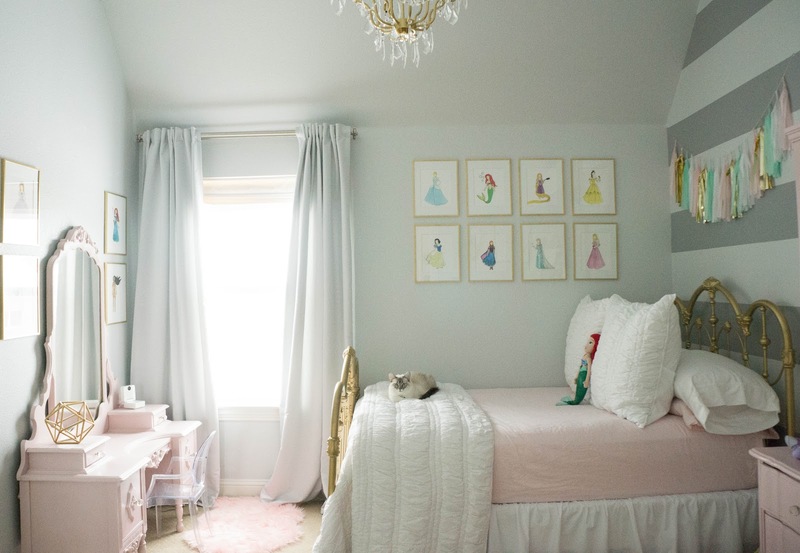 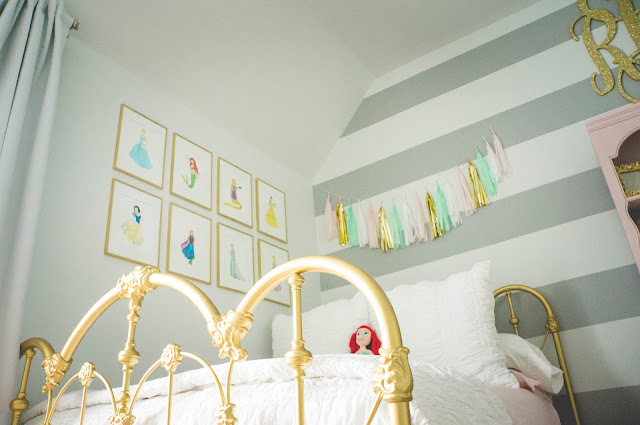 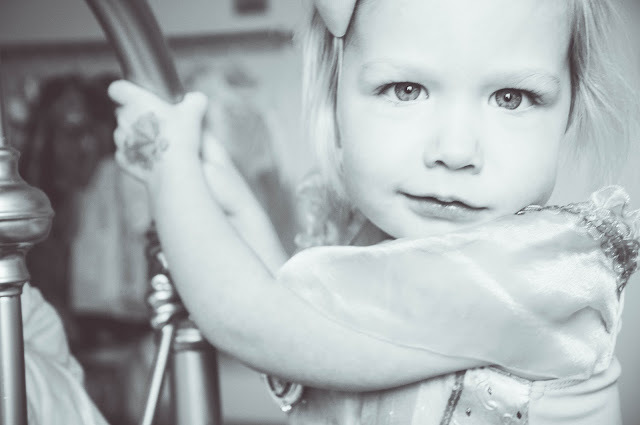 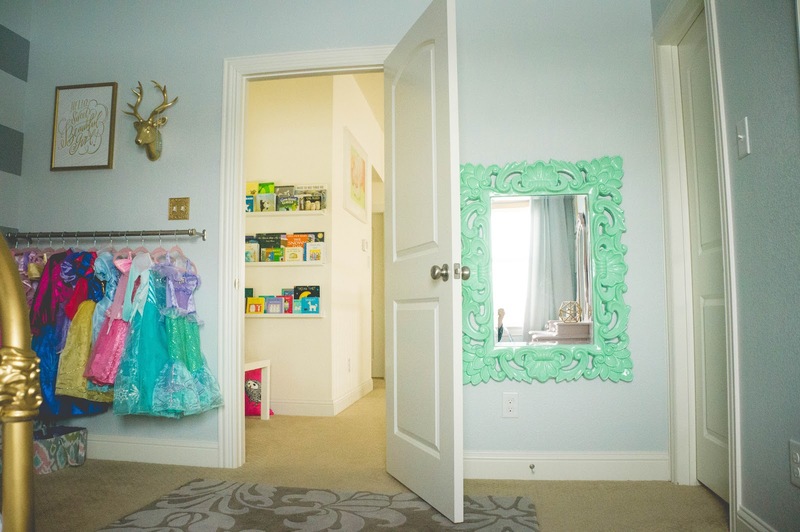 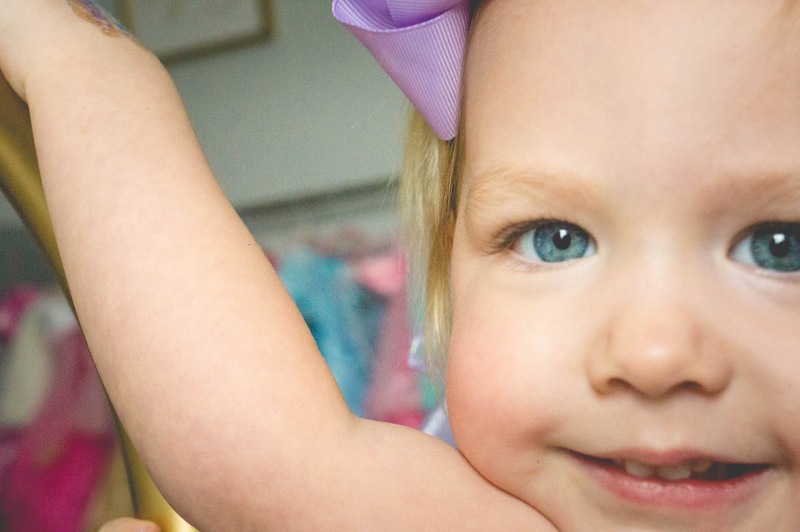 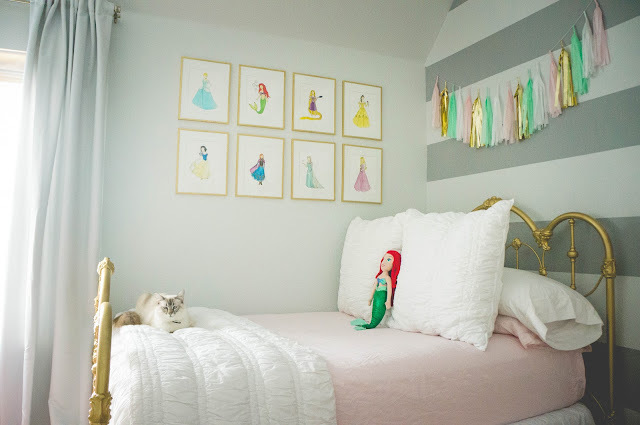 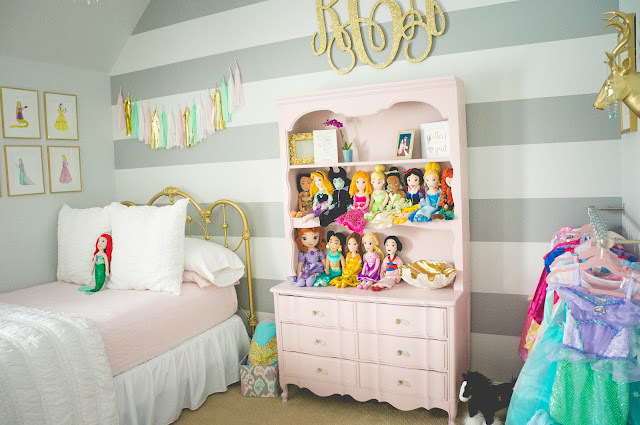 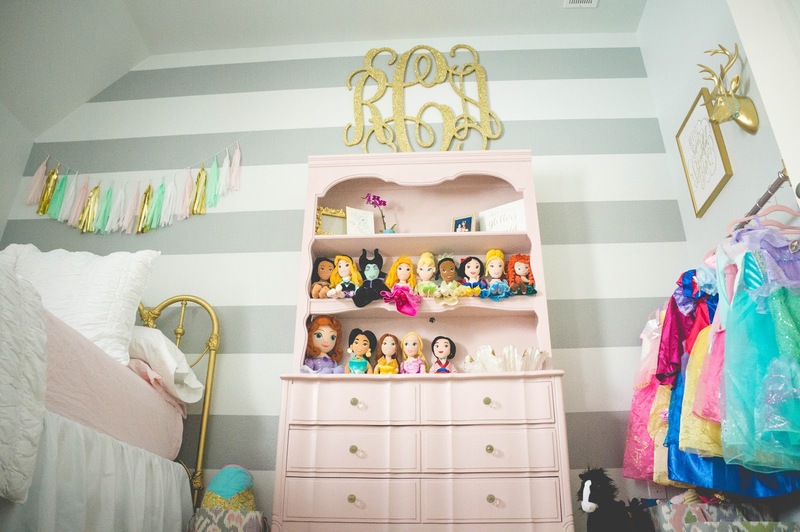 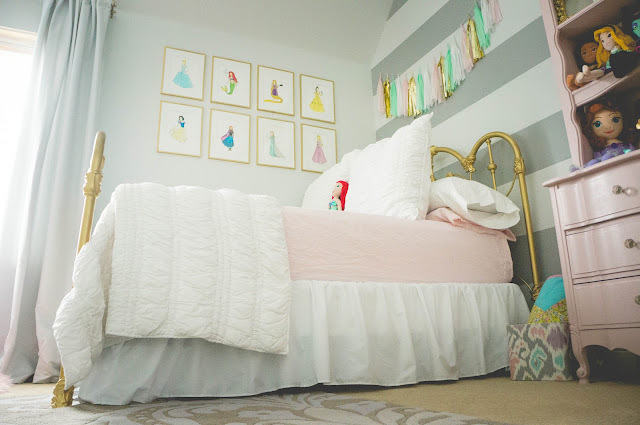 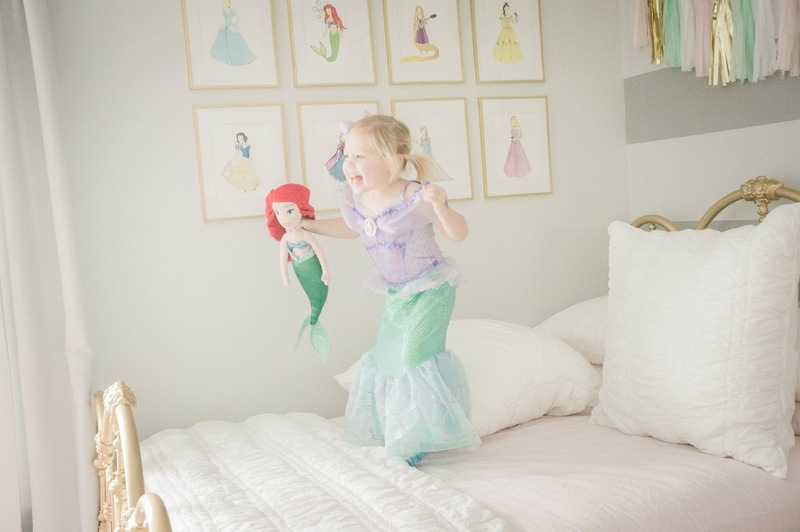 When it came time to transition Ryann to a big girl room, I really wanted to capture her two loves: princesses and dressing up! 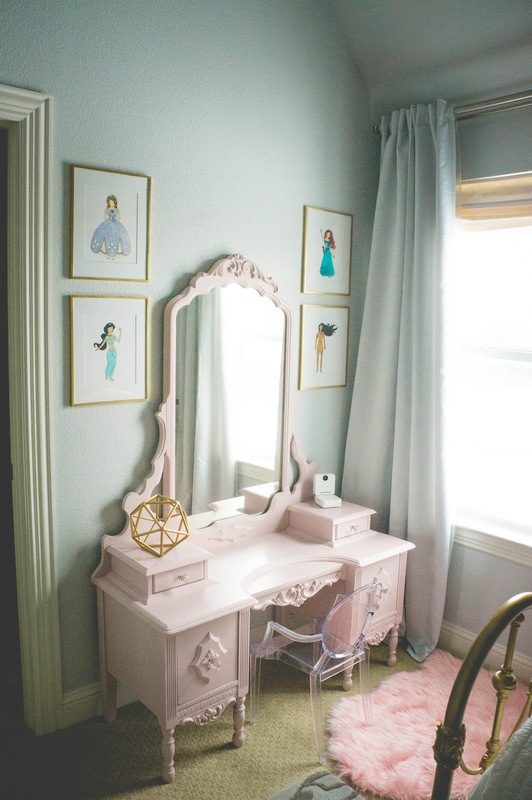 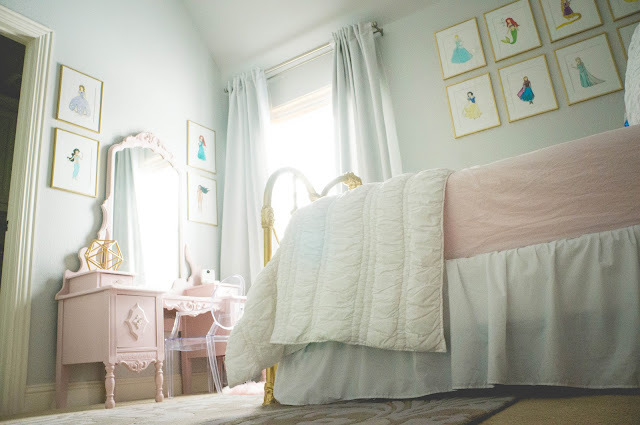 What I didn't want was a cheesy princess room with too much cotton candy pink and generic princess items. I think we did pretty good. 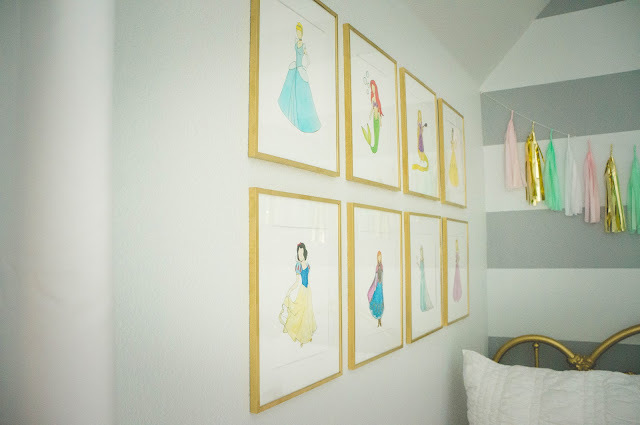 I was immediately inspired when I spotted the princess silhouette prints on instagram designed by Kristin at hellolovelypeople. I loved these prints so much that I featured them through out the room. 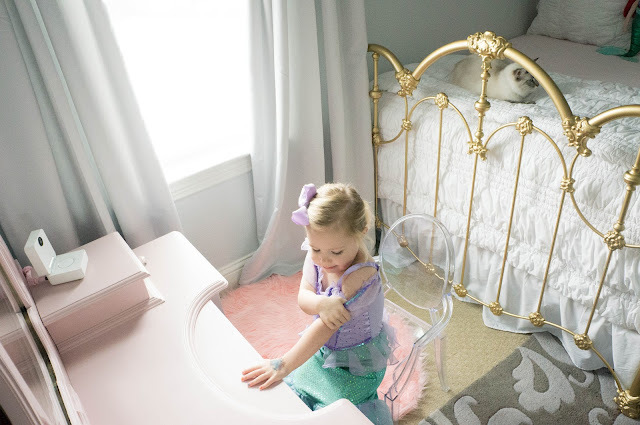 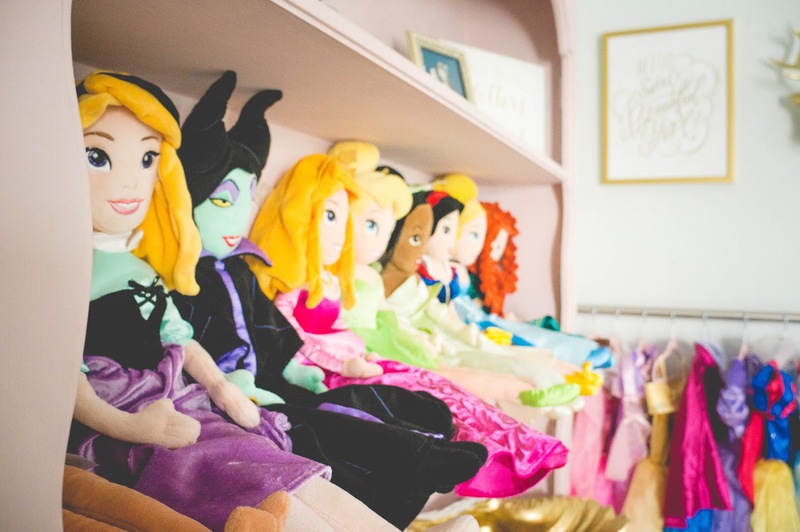 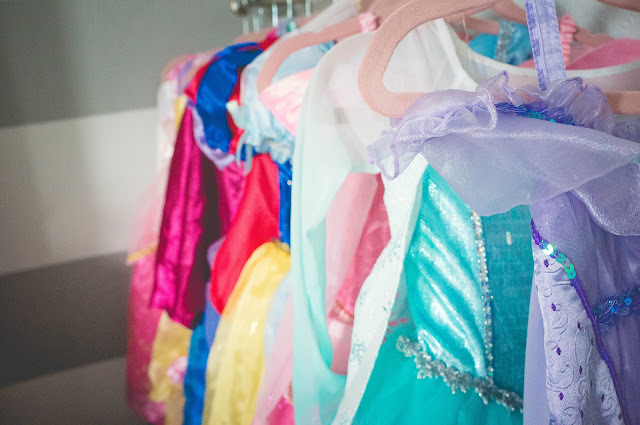 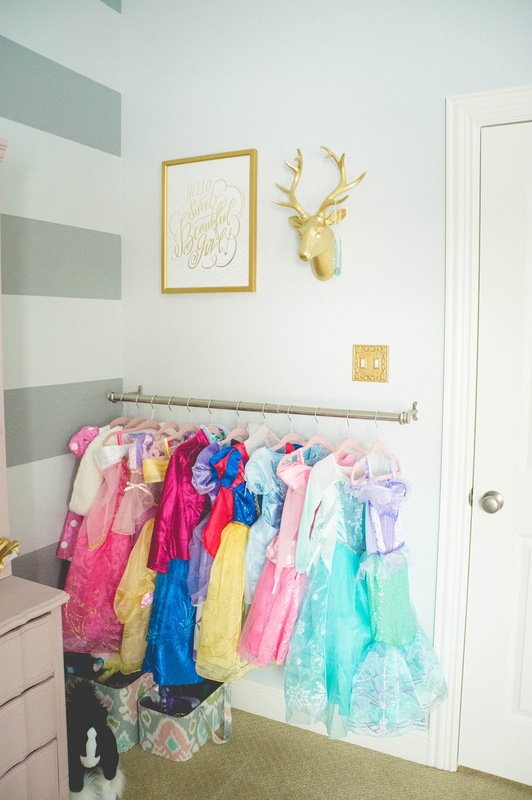 Another key feature of the room design was the ability to display all of Ryann's princess dresses in a way that allowed her to easily access them. All of the big furniture pieces (bed, vanity and dresser) were vintage, used pieces. 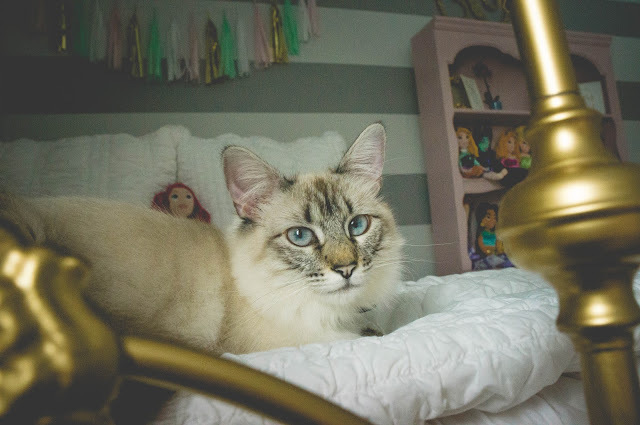 I found the old iron bed on craigslist. It was a horrible antique white with brass finishes. 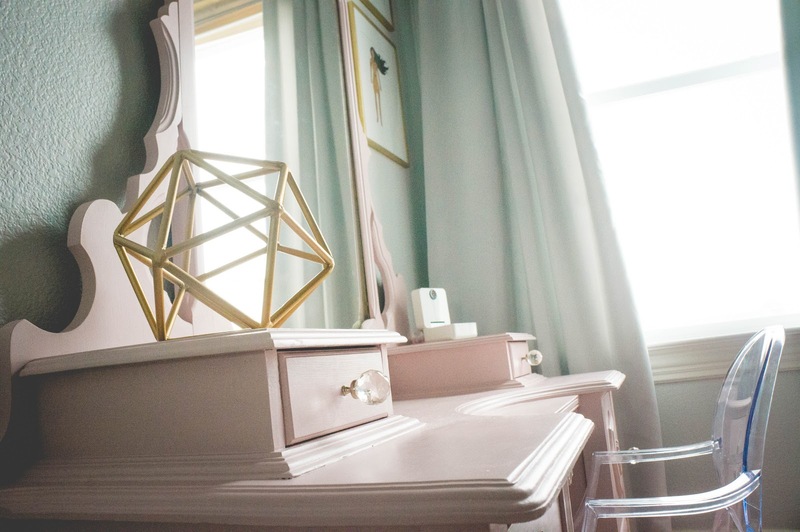 I took care of those imperfections real quick with a few coats of gold spray paint. 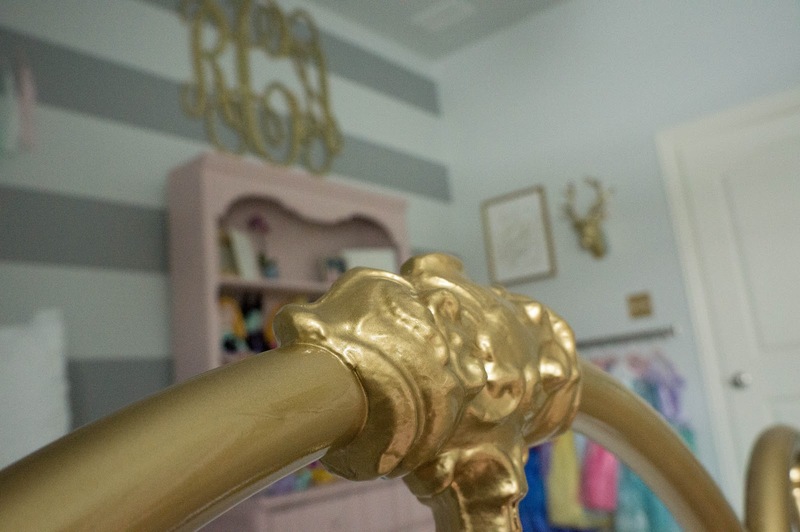 Seriously people, I have used A LOT of gold spray paint and this one by Rustoleum is the BEST. 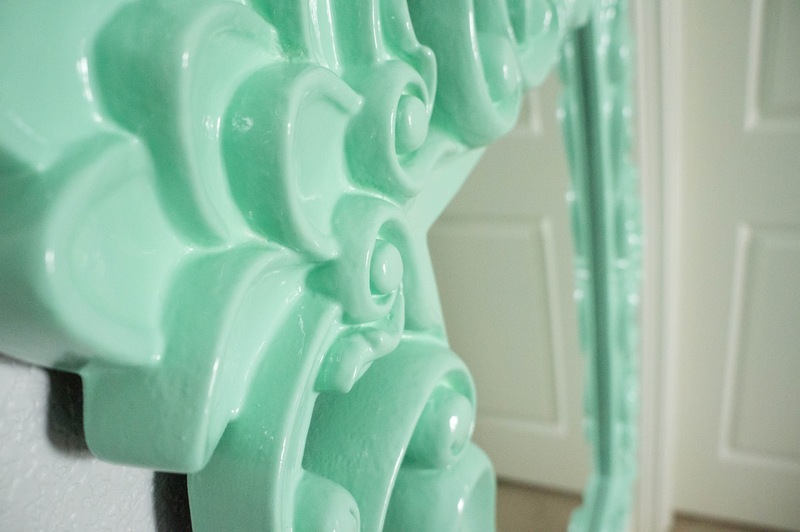 I finished it with a clear coat and it turned out perfect! The vanity was also a craigslist find and it was equally as ugly as the original iron bed! After a lot of labor, love and Chalk Paint, it was just what I had hoped it would be. 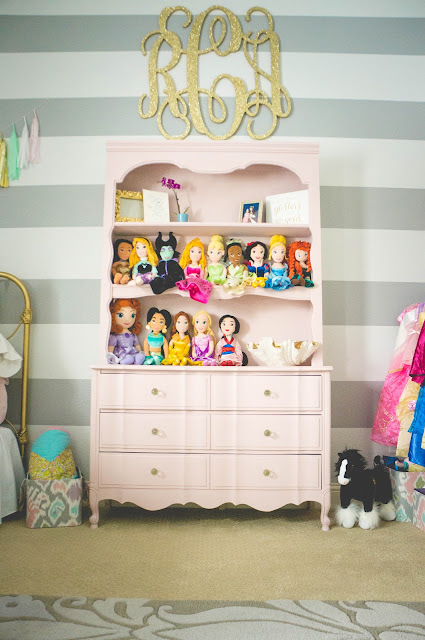 I went through the same refinishing process with the old dresser and hutch that I took from our family lake house. 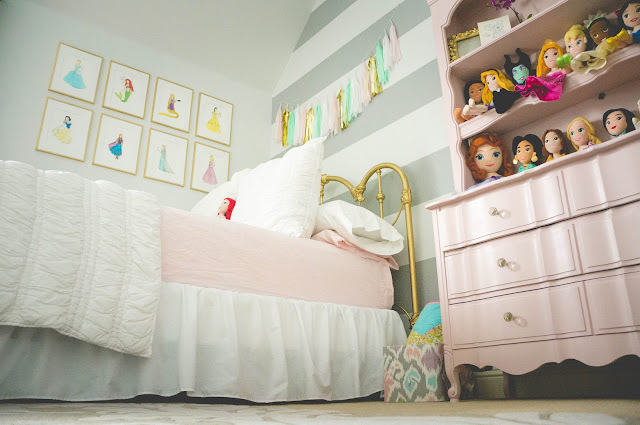 To protect the chalk paint, both received a final coat of furniture wax. 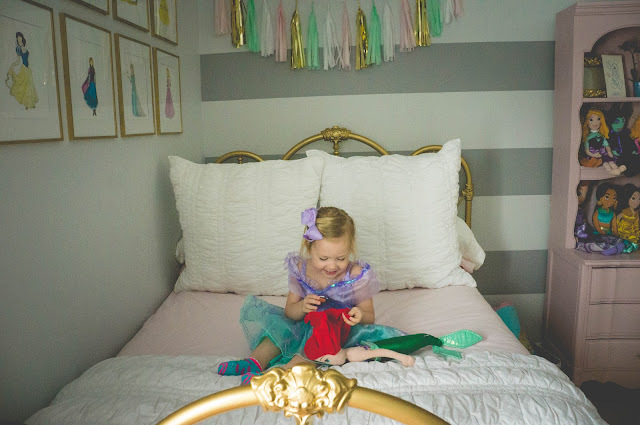 After a few months of shopping and mixing and matching, Ryann (and Mom), are very happy with the final result. 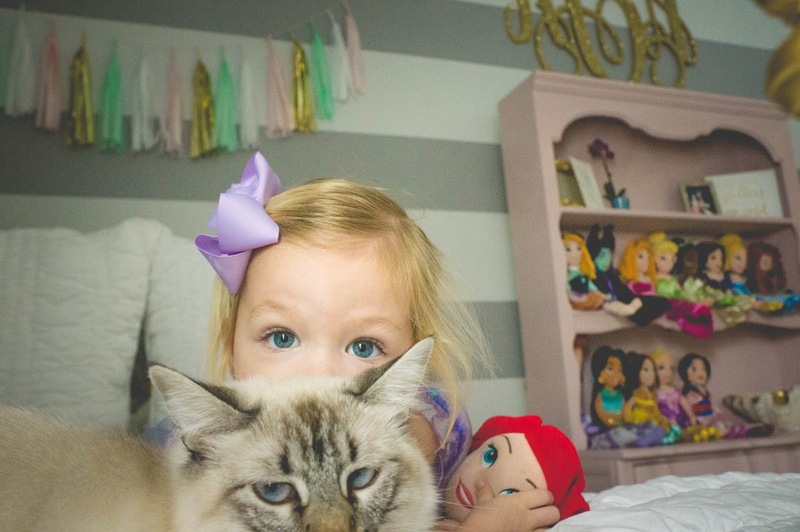 Rosie the cat doesn't mind it too much either!